Individuals diagnosed with a chronic disease must cope with various health-related functions on a daily basis to address their health-related concerns. Possessing the skills to use mobile devices can help in accessing relevant information on health concerns and health services . Existing studies report that individuals with chronic disease use technology-based devices to search for more information consult online rankings or reviews engage in online health-related activity and exchange information with others who have similar health concerns. Yet, evidence concerning the use of mobile health applications (Mapps) among individuals diagnosed with a chronic disease is limited and mainly concentrates on specific groups and specific health-related uses. As a result, we lack empirical evidence linking Mapps use to self-management among individuals diagnosed with a chronic disease [2-4]. Mapps have become a common means for individuals in the general population to address their health needs and learn about health-related products and services on their own time and at their own pace . In the United States (U.S.), Mapps are used by 21% of adults aged 18-24 . Over two-thirds of European Union respondents (69%) think that faster and more reliable connection to digital sources would encourage them to make more use of recent digital technologies to increase wellbeing and address health concerns . In the U.S. using and updating at least one type of Mapps is quite common among individuals seeking to adopt a “health-wise” lifestyle, increase their health empowerment and increase the potential for effective health management [6,8-13]. Utilization of medical technologies indicates consumers' acceptance of health technology and helps individuals diagnosed with a chronic disease to better manage their chronic disease and attain their health goals. Yet, achieving these health goals for lifestyle or healthcare purposes is contingent upon the individual's ability to capitalize on technology-based resources available on the virtual space [14,15]. Recent studies, indeed, report gaps in the use of Mapps between individuals with no health concerns and individuals diagnosed with a chronic disease [16,17]. These gaps raise doubts about the effectiveness of “Web-based interventions” among individuals diagnosed with a chronic disease in adopting self-management behaviors [15,18-21]. In this study, we explore the factors associated with the impact of Mapps on self-management practices among individuals diagnosed with a chronic disease. We seek to determine the extent to which individuals diagnosed with a chronic disease use Mapps to address their needs for (a) lifestyle and (b) health tracking self-management practices. Mapps enable an easy access to a wide range of health services in eating disorders alcohol use disorders [22,23]. Mapps have been found effective in encouraging physical activity, selfmonitoring behaviors during weight loss, recording food intake during weight loss programs and providing support in psychotherapy [24-27]. A large proportion of mobile phone users have downloaded at least one health-related application and more people use health-related sites than banking and other similar applications [5,28]. The vast majority of these applications were reported as "useful" and assessed as an important means of adopting new health habits [29-31]. Indeed, studies addressing the influence of Mapps indicate that individuals with a heart condition diabetes, cancer and other long-term conditions are willing to use Mapps to alleviate bothersome symptoms [16,32-36]. At the same time, health policymakers and scholars are still skeptical about the current evaluations regarding the effectiveness of Mapps, leading to raised concerns regarding the extent to which Mapps meet the specific needs of individuals diagnosed with a chronic disease . Recent evidence indicates that Mapps use is moderated by personal health status and individuals diagnosed with a chronic disease report lower use of digital health services and are less likely to make effective use of self-management practices [2,17-21]. This evidence led health policymakers and practitioners to reconsider the usability of digital tools in affecting self-management practices and the need to reassess the clinical utility, benefits and risks of using Mapps in the context of prevention and management of disease among those diagnosed with a chronic disease [27,37,38]. The evidence also instigated further interest in public health and communication studies seeking to assess the effect of Mapps on self-management among individuals diagnosed with a chronic disease . In the present study, we provide more information about this conflicting evidence. We assess how variations in Mapps use affect lifestyle and health-tracking self-management practices among individuals diagnosed with a chronic disease. We also consider how observed changes in their personal health status affect self-management practices controlling for the effects of Mapps. The relevant literature addressing the use of technology makes two alternative and contradictory predictions. According to the normalization hypothesis the rise of the "information society" and adoption of the Internet have the capacity to reduce existing social inequalities. In affluent post-industrial societies, online information will gradually broaden over time, providing easy and cheap access to information and people . Support for this hypothesis is evident in the growing use of mobile technology oriented to eHealth and m-Health sources for health purposes and the narrowing gaps in access to information and services . By contrast, the Social Diversification Hypothesis refers to the differential use of such services according to people’s socioeconomic background. This differential use may replicate and even amplify existing social inequalities. SDH implies that individuals characterized by limitations stemming from health, residential and social capital limitations will be less able to gain access to social services . Here the role of Mapps can provide a catalyzing effect in reducing such limitations in health self-management [3,4]. Human conditions generate “prerequisites” that can shape the opportunity to use technology. Such human conditions are primarily socioeconomic. Age, for example diminishes mobility and increases the likelihood that health must be monitored [42,43]. Similarly, gender is related to lower technology skills and differences in communication needs that may affect the degree women will be using Mapps [2,44]. H1: Socioeconomic variations will affect the extent to which people use Mapps. H2: A chronic condition will affect the use of Mapps when socioeconomic variations are controlled. Individuals diagnosed with a chronic disease seek and use Mapps can maximize their involvement in health decisions and take concrete steps toward better health routines . Nonetheless, information alone cannot guarantee that people will adopt healthy self-management behaviors [34,53]. Recent studies addressing the use of web-based interventions claim that digital sources and aids do not meet their intended purposes [17,18,54,55] because their "tailored" content limits possibilities of self-management practices. In fact, individuals diagnosed with a chronic disease report lower self-management practices [16,17,33]. Moreover, recent evidence among 2,802 participants indicates thought that even when individuals access extensively health sources to this extensive use wanes over time because individuals diagnosed with a chronic disease do not possess the necessary technological skills to update and increase their self-management potential using Mapps . Differences in the way individuals diagnosed with a chronic disease use technology may affect their ability to capitalize on Mapps for improving self-management. Moreover, differences between self-management types may be of importance in defining the extent to which individuals diagnosed with a chronic disease adopt Mapps to promote self-management . H3a: Higher extent of Mapps use will increase the likelihood of lifestyle SM. H3b: Higher extent of Mapps use will decrease the likelihood of health tracking SM. The more recent studies of the Technology Acceptance Model (TAM) include additional explanatory variables to measure subjective norms and social influence . These variables are of particular personal relevance among people who face certain conditions such as, specific health problem of disease . Individuals diagnosed with a chronic disease are likely to use technology in different ways that fit their immediate and remote needs and perceptions of usefulness [57,61]. H4a: Personal health status will affect the likelihood for lifestyle self-management behavior when extent of Mapps use is controlled. H4b: Personal health status will affect the likelihood for health track self-management behavior when extent of Mapps use is controlled. This study draws on a secondary analysis of the data released by Princeton . The sample comes from a national tracking survey of 8,323 individuals over the age of 18 contacted by landline and/or cellphone. The analysis is based on individuals who use Mapps (Mapps) (N=1,492). Five hundred respondents reported being diagnosed with a chronic disease (32.01%). The sample comprised 51.8% women and 49.2% men; 29.7% have less than a college degree; 60.6% are married or cohabitating; 41.4% are parents of children living at home; 24.2% earn less than $30,000. A total of 1,192 individuals reported using a single health application (80%), while 300 reported using more than one (20%). Self-management: (a) Lifestyle: Do you currently keep track of your own weight, diet, or exercise routine? (1=yes), (b) Health track: Do you track your own blood pressure, blood sugar, sleep patterns, headaches, or any other indicator? (1=yes). Extent of Mapps use: (a) Number of applications used: What kind of health apps do you currently have on your phone? Respondents replied to the question ten times for ten uses. We used the first four counts reporting four different types of health concerns (ranging from 1=single application to 4=four applications), (b) Update frequency (1= every day). Socioeconomic characteristics: Age is a proxy for technology skills and likelihood of chronic illness (18 through 85 years old). Studies have shown that older individuals perform more poorly than do young people in using Internet browsers, finding search engines and navigating the Internet and as health usually deteriorates with age it is important to examine how age differences affect the use of Mapps [40,43]. Gender is important as well because consistent findings indicate that women use the internet for health purposes more than men do, and often reflect their social function as family caregivers (1=Male) [2,44]. Marital status was shown to signify the extent that married individuals who use online health services more frequently than single individuals to consult online rankings or reviews (1= yes) especially when they care for children [3,15]. This is why we examine parental status: Children under age of 18 (1= yes). Finally, education increases the likelihood of health literacy and ability to understand medical information, including drug prescriptions, the etiology of diseases and risks. Better cognitive skills attributed to highly educated individuals lead to better evaluation of health information . Individuals with more education may have a greater desire to use technology for health related concerns than less educated individuals (1=no formal education through 10=PhD). Personal health condition: (a) Health crisis: In the last 12 months, have you personally faced a serious medical emergency or crisis (1= yes), (b) Health emergency: In the last 12 months, have you personally gone to the emergency room or been hospitalized unexpectedly (1= yes). (c) Health change: In the last 12 months, have you personally experienced any significant change in your physical health, such as gaining or losing a lot of weight, becoming pregnant, or quitting smoking (1= yes). Examining the extent of technology use, we considered two aspects of Mapps use: the number of Mapps use and the updating frequency. Both aspects indicate the relevance of the parameters included in the Technology Acceptance Model (for individuals diagnosed with a chronic disease [48,60]. We run a series of regression tests and focus on the analysis of the regression coefficients. The coefficient B gives the size of the effect that variable is having on the dependent variable, and the sign on the coefficient (positive or negative) gives the direction of the effect. In regression with multiple independent variables, the coefficient tells us how much the dependent variable is expected to increase when that independent variable increases by one, holding all the other independent variables constant. Number of Mapps used: Socioeconomic variables produce variations in the extent of Mapps use. Aging individuals with a chronic condition are less likely to use multiple applications. Being a man (B=0.381) and having more education (B=0.031) increase the number of mobile applications used. In contrast, parenting status decreases the likelihood of using multiple applications (B=-0.321). A health crisis (B=‑0.257) has a minor negative effect as well. Updating frequency of Mapps: Socioeconomic variables produce variations in the extent of Mapps updating. Frequency of updating is affected negatively by age (B=-0.018) and parenthood (B=-0.388). Moreover, the personal health status of individuals diagnosed with a chronic disease affects updating frequency. Emergency hospitalization (B=0.683) and significant change in personal health condition (B=0.469) both increase the likelihood of updating Mapps, indicating that individuals diagnosed with a chronic disease experiencing such situations are more likely to become aware of the usefulness of Mapps as a tool for health empowerment when controlling for the remaining socioeconomic effects described above. However, a health crisis decreases the likelihood of frequent updates (B=- 0.409), similar to the above effect of number of applications used. We conclude here that as indicated by the TAM model, the higher number of Mapps use, i.e. downloading more Mapps, is a basic step that is relatively easy to perform and reflects the perceived ease of use. Yet, updating multiple applications necessitates a more engaging attitude and indicates the degree of perceived usefulness as for example with certain applications such as blood pressure and weight loss. In both cases age and a health crisis, along with parenthood, serve as basic attributes in addressing the extent of technology use among individuals diagnosed with a chronic disease. The findings in Table 1 indicate that socioeconomic effects significantly affect the likelihood for self-management, though the direction of the effects differ for lifestyle and health track SM. Lifestyle self-management is positively increased among older (B=0.008), married (B=0.024) and educated individuals diagnosed with a chronic disease (B=0.009). However, being married (B=-0.43), male (B=-0.093) and having higher education (B=-0.012) decrease the likelihood of experiencing health track self-management among individuals diagnosed with a chronic disease. The results indicate two important findings. First, we need to distinguish between lifestyle and health track self-management in order to reveal subtle differences in the antecedents affecting self-management behavior in individuals diagnosed with a chronic disease. Second, we need to control for socioeconomic variations before we assess the impact of technology effects. The results indicate that indeed, after socioeconomic variations are controlled, technology increases the likelihood of both lifestyle and health track self-management. More specifically, using (B=0.916) and updating (B=1.624) Mapps increase the likelihood for lifestyle self-management as well as for health tracking self-management (B=0.318; B=1.673). Clearly, Mapps affect self-management practices but even these effects can be minimized when personal health conditions emerge. Table 1: Regression coefficients (B) and explained variances predicting extent of use (quantity) and updating (frequency) of mobile health applications (Mapps) among individuals diagnosed with chronic disease. The findings in Table 2 indicate that personal health condition affects self-management after controlling for the effect of Mapps. An emergency (B=0.205), a crisis (B=0.397) or a sudden change in one's condition (B=0.259) all make an important contribution in explaining variations in self-management among individuals diagnosed with a chronic disease. The findings show that occurrence of a health crisis (B=-0.144) or a health change (B=-0.139) decreases the likelihood of lifestyle self-management. By contrast, occurrence of a health crisis (B=.076) or a health change (B=-0.052) increases the likelihood of health track self-management. Clearly, the results indicate the effect of “affordances” related to personal health status among individuals diagnosed with a chronic disease using Mapps because they can moderate the effect of Mapps on selfmanagement. Table 2: Regression coefficients (B) and Explained variances predicting SM (lifestyle) and SM (health track) following use and updating of mobile health applications (Mapps) among individuals diagnosed with chronic disease. Individuals use Mapps for various health purposes in order to improve their health routines as well as increase their health empowerment. Among these uses are lifestyle behaviors such as stopping smoking, adhering to physical fitness programs and accessing health services, as well as health management behaviors such as sugar and blood pressure monitoring, cancer and heart disease management and psychotherapy support. Yet existing studies supporting the beneficial effects of Mapps have focused mainly on the needs of specific health groups while neglecting the importance of comparing between differences in the use of Mapps and different types of self-management practices. Nevertheless, health institutions and professionals are aware of the lack of evidence linking variations in mobile health application use to differences in self-management behaviors. On the one hand, they report relying more and more on Mapps to increase health awareness and improve adherence to health management practices. At the same time, they are skeptical regarding the potential of Mapps to improve self-management practices. In this study, we assessed the impact of variations in the use of Mapps on lifestyle and health-track management practices among individuals diagnosed with a chronic disease. Overall, the findings support the importance of Mapps in selfmanagement practices, thus confirming the normalization hypothesis and the positive effect of technology in inducing better lifestyle and health practices . The findings support the conclusions of recent studies [2,5,65]. Support for the study's findings is provided by the constantly rising percentage of mobile technology use oriented to e-Health and m-Health sources. Hence, we can conclude that Mapps play a significant role in reducing limitations upon self-management practices for individuals diagnosed with a chronic condition [2,41,65-68]. Nonetheless, the results also point to important limitations regarding the effect of mobile heath applications. First, assessing the effect of Mapps on self-management practices is difficult and possibly even inaccurate without examining the distinction between lifestyle and health management behaviors. Second, it is important to consider the individual's personal health status. A health crisis, a change in health condition and hospitalization can moderate the link between technology and self-management. As a result, while individuals with no personal health challenges find it easier to adopt self-management practices following the use of Mapps, for individuals with challenging personal health conditions the effect of Mapps is restricted. In some cases, personal health challenges may increase the likelihood of using Mapps and prompt adopting self-management practices, while in other cases these challenges may signify a need for careful consideration of Mapps use for health purposes. For the latter individuals, tailored Mapps are less appealing considering that they have specific needs or even face health risks . This is especially important considering that variations in mobile health application use may affect self-management practices. These results have important implications for health-related policy. The use of Mapps can easily enhance or disrupt the work of health professionals. The difference between lifestyle management and health-track management behaviors as detected in this study ultimately reflects not only the differential influence of technology use on self-management practices, but also and more importantly, the role of one's personal health situation in managing health concerns. This is especially important considering that health institutions and professionals are keener to rely more and more on the use of Mapps to increase health awareness and adherence to health management practices. We conclude that health policymakers and health practitioners should be encouraged to reconsider the usability of digital tools in affecting self-management practices among individuals diagnosed with a chronic disease. They should precisely assess the clinical utility, benefits and risks of using Mapps in the presence of unexpected health situations. The secondary level analysis of the study draws attention to the relatively limited number of items referring to the types of mobile applications use. Future studies should opt to consider how differences in mobile applications use contribute to self – management considering that some applications fit the needs of the chronically ill better. Church K, De Oliveira R (2013) What's up with whatsapp? : comparing mobile instant messaging behaviors with traditional SMS. In Proceedings of the 15th international conference on Human-computer interaction with mobile devices and services: Pp: 352-361. Mano R (2016) Online health information and health changes: A gender approach to technology and health empowerment among Jewish women in Israel. J Commun Med Pub HealCare 3: 23. Krebs P, Duncan DT (2015) Health app use among US mobile phone owners: A national survey. JMIR Mhealth Uhealth 3: e101. PEW (2012) Health Tracking Survey. Princeton Survey Research Associates International for The Pew Research Center’s Internet & American Life Project . Eurobarometer (2017) Attitudes towards the impact of digitisation and automation on daily life. Special Eurobarom Report, p: 460. Merolli M, Gray K, Martin-Sanchez F (201 2 ) Health outcomes and related effects of using social media in chronic disease management: A literature review and analysis of affordances. J Biomed Inform 46: 957-969. Bandura A (2004) Health promotion by social cognitive means. Heal Educ Behav 31: 143-164. Mano R (2014a) Social media and online health services: A health empowerment perspective to online health information, Com Hum Beh 3: 404-412. Fox S (2011) Chronic disease and the internet, Pew Internet American Life Project Pew Research Centre, Washington, DC: 53. Dutta MJ, Bodie GD (2008) Understanding health literacy for strategic health marketing: eHealth literacy, health disparities, and the digital divide. Heal Mark Quart 25: 175-203. Dutta-Bergman M (2006) Media use theory and internet use for health care. In Murero M & Rice E (Eds). The Internet and Health Care: Theory, Research and Practice. Lawrence Erlbaum, Mahwah, NJ: 83-103. Mano R (2015) Online health information, situational effects and health changes among e-patients in Israel: A "push / pull" perspective. Health Expectations 18: 2489-2500. Kerr C, Murray E, Morris R, Bottomley C, Stevenson F, et al. (2010) The potential of web-based interventions for heart disease self-management: a mixed methods investigation. JMIR 12: e56. Manhattan Research (2012) Cybercitizen Health Europe. Seeman N (2008) Web 20 and chronic illness: New horizons new opportunities. Health Care 10: 104-108. Stellefson MB, Chaney AB, Chavarria E, Tennant B, Walsh-Childers K, et al. 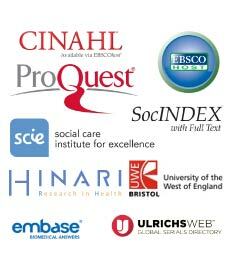 (2013) Web 20 Chronic disease health management for older adults: A systematic review. JMIR 15: e35. Azar KM, Lesser LI, Laing (2013) Mobile applications for weight management: Theory-based content analysis. Am J Preven Med 45: 583-589. Coughlin SS, Whitehead M, Sheats JQ (2016) A review of smartphone applications for promoting physical activity. Jacobs J Commu Med: 2. Househ M, Borycki E, Kushniruk A (2014) Empowering Patients through Social Media: The Benefits and Challenges. Health Inform J 20: 50-58. Pandey A, Hasan S, Dubey D, Sarangi S (2012) Smartphone Apps as a Source of Cancer Information: Changing Trends in Health Information-Seeking Behavior. J Cancer Educ 28: 138-142. Karlamangla S (2016) Health apps: Unlimited promise or “like having. Miller CK, Bauman J (2014) Goal setting: An integral component of effective diabetes care. Current Diabetes Reports 14: 1-8. Pereira K, Phillips B, Johnson C, Vorderstrasse A (2015) Diabetes technology and therapeutics 17: 55-63. Mobasheri MH, Johnston M, King D (2014) Smartphone breast applications - what's the evidence? Breast 23: 683-689. Kennedy D, Reeves P, Bower V, Middleton L, Richardson G (2007) The effectiveness and cost effectiveness of a national lay led self -care support program for patients with long-term conditions: A pragmatic randomised controlled trial. J Epidemiol Commun Heal 61: 254-261. Rogers A, Kirk S, Gately, CM, CR Finch (2011) Established users and the making of tele-care work in long term condition management: implications for health policy. Soc Sci Med 72: 1077-1084. Mosa ASM, Yoo I, Sheets L (2012) A systematic review of healthcare applications for smartphones. BMC Med Inform Decis Mak 12: 1. Anglada-Martínez H, Martin-Conde M, Rovira-Illamola M, Sotoca-Momblona JM, Sequeira E, et al. (2016) Feasibility and preliminary outcomes of a web and smartphone–based medication health management platform for chronically ill patients. J Med Sys 40: 1-14 . Mohapatra DP, Mohapatra MM, Chittoria RK, Friji MT, Kumar SD (2015) The scope of mobile devices in health care and medical education. Intern J Advan Med Heal Res 2: 3-8. Bundorf MK, Wagner TH, Singer SJ, Baker LC (2006) Who searches the Internet for health information?. Heal Ser Res 41: 819-836. Mesch G, Mano R, Tsamir Y (2012) Minority status and the search for health information online: a test of the social diversification hypothesis. Soc Sci Med 75: 854-858. Boontarig W, Chutimaskul W, Chongsuphajaisiddhi V, Papasratorn B (2012) Factors influencing the Thai elderly intention to use smartphone for e-Health services. In Humanities, Sci Engg Res: 479-483. Wackman J (2004) Technofeminism. Cambridge, UK: Polity. Or CKL, Karsh BT, Severtson DJ, Burke LJ, Brown RL, et al. (2011) Factors affecting home care patients' acceptance of a web-based interactive self-management technology. J Am Med Inform Assoc 18: 51-59. Keselman A, Logan R, Smith CA, Leroy G, Zeng-Treitler Q (2008) Developing informatics tools and strategies for consumer-centered health communication. J Am Med Inform Assoc 15: 473-483. Rosenberg D, Mano R, Mesch G (2017) They have needs, they have goals: Using communication theories to explain health-related social media use and health behavior change. MOJ Public Health 6: 00163. Ahadzadeh AS, Pahlevan Sharif S, Ong FS, Khong KW (2015) Integrating Health Belief Model and Technology Acceptance Model: An Investigation of Health-Related Internet Use. Med Intern Res 17: e45 . Dutta-Bergman M (2004a) Developing a profile of consumer intention, to seek out health information beyond the doctor. Health Marketing Quarterly 21: 91-112. Iverson SA, Howard KB, Penney BK (2008) Impact of Internet use on health related behaviors and the patient physician relationship: A survey-based study and review. J Am Osteopath Assoc 108: 699-711. Chahal H, Kumari N (2012) Service quality and performance in the public health-care sector Health Marketing Quarterly 29: 181-205. Samoocha D, Bruinvels DJ, Elbers NA, Anema JR, van der Beek AJ (2010) Effectiveness of Web-based interventions on patient empowerment: A systematic review and meta-analysis. JMIR 12: e23. Huang GJ, Penson DF (2008) Internet health resources and the cancer patient. Cancer Investigation 26: 202-207. Fishbein M (2008) A reasoned action approach to health promotion . Med Decis Making 28: 834-44. Ezendam NPM, Noordegraaf VSA, Kroeze W, Brug J, Oenema A (2013) Process evaluation of a computer-tailored intervention to prevent excessive weight gain among Dutch adolescents. Heal Prom Intern 28: 26-35. Shim M, Kelly B, Hornik R (2006) Cancer information scanning and seeking behavior associated with knowledge, lifestyle choices and screening. J Health Commun 1: 157-172. Dutta-Bergman M (2004b) Primary sources of health information: Comparison in the domain of health attitudes, health cognition and health behaviors. Heal Commun 16: 273-288. Dutta-Bergman M (2004c) The impact of completeness and web use motivation on the credibility of health information. J Commun 54: 253-269. Ruiz S, Brady TJ, Glasgow RE, Birkel RM, Spafford B (2014) Chronic condition health management surveillance: What is and what should be measured? Prevention in Chronic Disease 11: 130328.